Let’s multiply and divide numbers written in scientific notation. 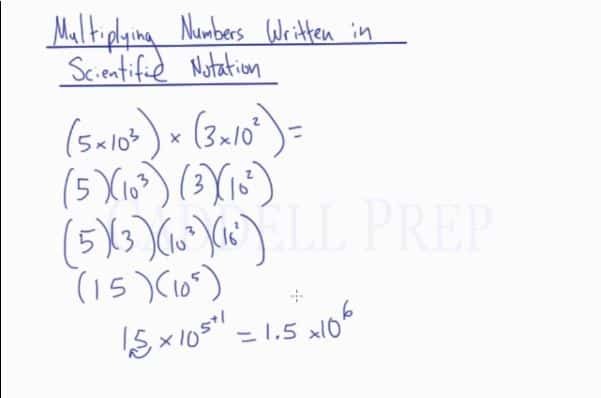 Now, let’s move on to multiplying numbers written in scientific notation. may look like a scientific notation but it’s not. Remember, should be greater than or equal to and less than . So let’s simplify it further by moving one decimal space to the left. Let’s have two more examples. We don’t have to make any adjustment because it is already in scientific notation form. Then let’s move the decimal to get a value between and . Now, let’s do division of numbers written in scientific notation. But this is not a scientific notation. To write it down, we have to move the decimal space.